The rest I do not know. Ba must still know how to handle the beast) Yes very simple. Yes, but the rest must put a headphone. I bought this wah wah big fan of Frusciante and I can tell you that with headphones the sound is amazing I found this sound so special to the Frusciante I can tell you it's great amazing. For several hours, and it's absolutely fantastic. I already had a Vox V847A which filled me but between the purchase and that of my WH-10 I became a very very big fan of Frusciante and Ancinnes wah satisfied me more saturation level, I thought to keep blues sound but the clean sound of the WH-10 is awesome so that I will pass away VOX my pedalboard ... Small problem, the switch is hard to activate, infact you have two mousses, and if you remove when you modulate the effect you disable the automatic wah ... So do not remove it. 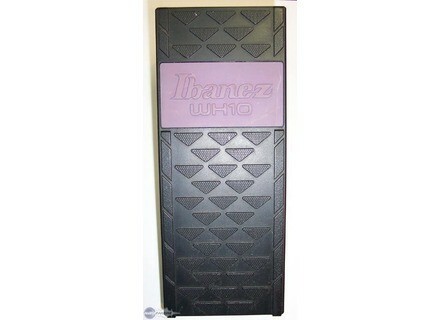 Very good, a repeat of the legendary wah Frusciante uses a wah and more for as well as bass guitarist for only 89 euros .. I would have put 60 more. Absolutely! Fan of Red Hot and Funk, run a store that sells and buy without hesitation!